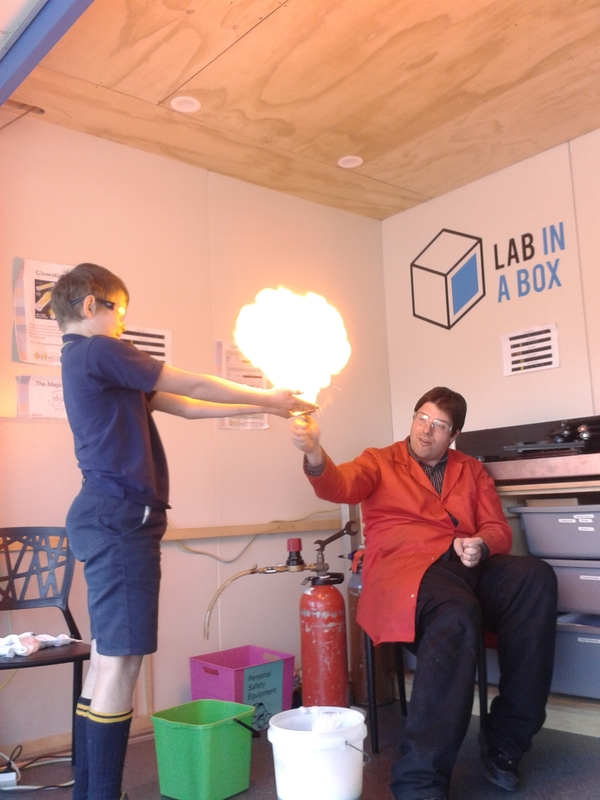 “Fire in the hole” – A whole handful of fire to light up scientific enthusiasm. Take a look at this boy’s bravery. Lab-in-a-Box hits TV1 News. Check out the link to see Lab-in-a-Box in action.